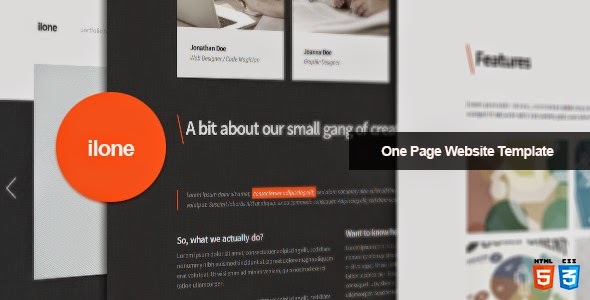 Ilone - Themeforest One Page Portfolio Template Ilone is a one page website template suitable for creative minds that want to showcase their portfolio. ilone is powered by Ajax, this means that every requested page loads into the main page allowing ilone to stay truly one paged. It has an integrated feature in every external page which redirects to the main page should one of the external pages be requested.